If you drive one of these, get ready to hear the noise. In the US, with the top three spots taken up by the Ford F-150, Chevy Silverado 1500, and Ram 1500. Due to their ubiquity and , pickups have also become the ultimate form of expression. AmericanTrucks.com knows how much people love to customize their trucks, which is why the company has just . From now until December 31, 2018 at 11:55 (ET), every day you can enter into the sweepstakes to win any intake and exhaust combination from AT's catalog (a value of up to $2,000). So, if you own an F-150, Ram, Silverado, or Sierra, be sure to enter as many times as possible for a chance to make your truck sound as fresh as possible. Since AT loves a nice sounding truck, we've decided to compile seven of what we believe are the best-sounding trucks with an aftermarket exhaust. 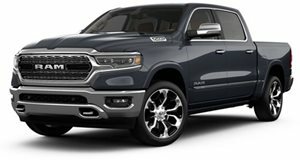 Pickup trucks reached their peak level of lunacy back in 2004 when Dodge decided to shove the 8.4-liter 500-horsepower V10 from a Viper into the Ram 1500. Until the current Ram comes out with a Hellcat engine, this will forever be one of the most insane trucks of all time. It could even be had with a six-speed manual transmission if you really had a death wish. As you'd expect, the Ram SRT-10 sounds a lot like a Viper, especially when you install an aftermarket Gibson exhaust. One of the biggest advantages of owning a pickup truck, beside the massive practicality, is that even an average, non-performance model sounds pretty good. In 2010, Ram was separated from Dodge to become its own brand. The most powerful 5.7-liter HEMI V8 engine has a nice, low rumble to it, which becomes more shouty with a Flowmaster Outlaw cat back exhaust. Many truck enthusiasts were mad when Ford got rid of the F-150 Raptor's 6.2-liter V8 engine in exchange for a 3.5-liter twin-turbo V6. 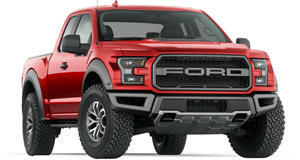 Those angry enthusiasts clearly haven't heard the new Raptor because it sounds really cool. Our friends at AT even created a video comparing the V8 Raptor to the V6 one. The 2012 V8 Raptor in the video uses a Corsa 3-inch Xtreme Single Side Exit Cat-Back Exhaust while the 2017 V6 model uses a Magnaflow Cat-Back system. While off-road trucks like the Raptor have taken off in recent years, sport trucks like the Ford SVT Lightning have been long forgotten. The second generation Lightning came equipped with a 5.4-liter supercharged V8 engine producing 360 hp, which was later upped to 380 hp in 2001. As you'd expect from a supercharged V8, it sounds incredible, especially with a SpinTech exhaust. As we mentioned, even normal pickup trucks can sound incredibly good with an aftermarket exhaust. 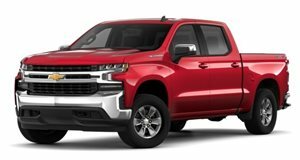 Whether it is equipped with the larger 6.2-liter V8 or the smaller 5.3-liter mill, the Chevy Silverado 1500 sounds great with a Borla exhaust. This also rings true for the Silverado's corporate sibling, the GMC Sierra 1500. Few sport trucks will ever live up to the legacy of the GMC Syclone. This incredible truck was powered by a turbocharged 4.3-liter V6 producing 280 hp. With a 0-60 mph time of just 4.3 seconds, it was one of the fastest vehicles on the market back in 1991. Given its turbocharged layout, the Syclone has one of the most unique exhaust notes on this list. We couldn't have a list of the best sounding trucks without including the Lamborghini LM002. Some would argue this was an SUV, but since it has a bed, we've included it on the list. Most of the LM002 models were fitted with the 5.7-liter V12 engine from the Countach, while some were powered by a 7.2-liter Marine V12 from an offshore powerboat. Just have a listen to this incredible engine. Even without an aftermarket exhaust, it sounds incredible.